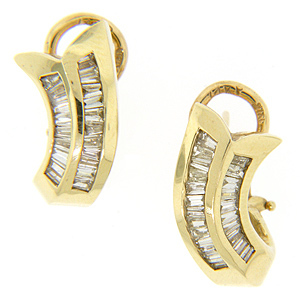 .91 carats total weight of baguette diamonds is set in these 14K yellow gold estate earrings. 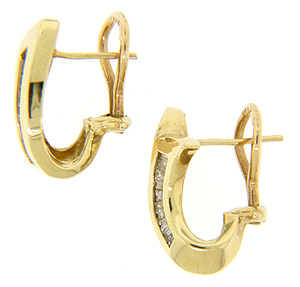 The omega back earrings have a swooping design. The earrings measure 3/4" long by 1/2” wide by 1/2” deep. Circa: 1970.